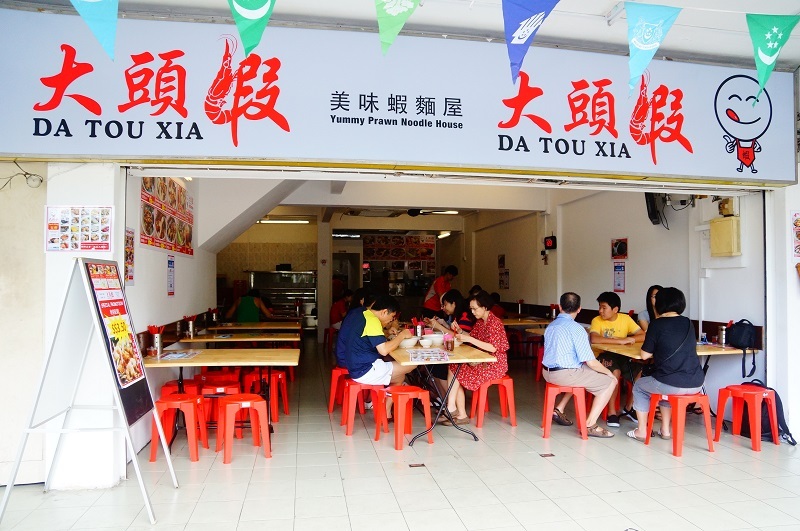 Literally meaning ‘Big-headed prawn’, Da Tou Xia refers to the prawns Da Tou Xia Yummy Prawn Noodle House use in their noodles. Coincidentally, we were invited to review this stall while on our hunt for the best prawn noodles on the island. So do they stand a chance to be on our list? A new eatery shophouse along Upper Aljunied road, it’s non-airconditioned, but fortunately, the ceiling fans all around keep the place airy and cooling. We ordered a bowl of medium-sized dry prawn noodle with pork ribs and a Super-sized prawn noodle soup. (They do have abalone noodle as well but we decided to stick to their signature dishes.) And we’re glad to say that we were impressed at our first sip of the broth. 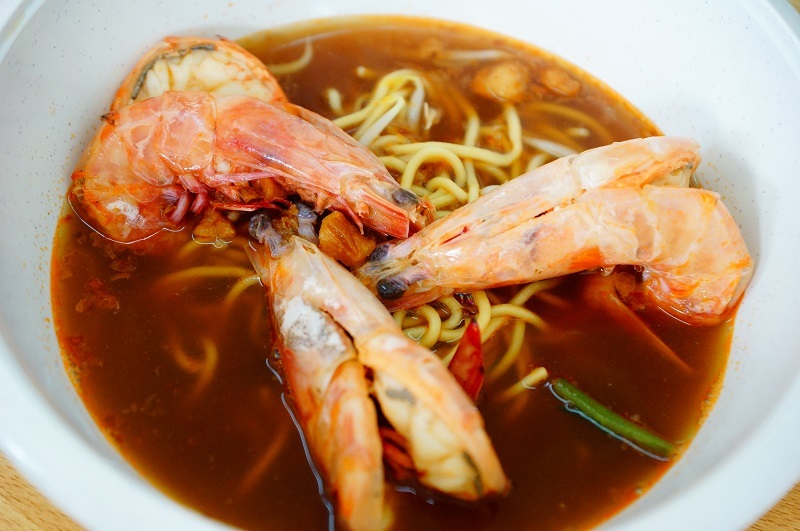 Soup-wise, we think that they have definitely met our criteria of a great broth: the soul of a good prawn noodles, it has to have depth and flavour, from long hours of boiling, breaking down and infusing the essence of the crustaceans and collagen into the soup. We definitely tasted that in Da Tou Xia’s broth. We could fully appreciate the sweetness, richness and robustness from the seafood together with other ingredients in the broth – it was almost irresistible and my two teens slurped it down to the last drop, and even asked for extra servings. Prawns were fresh and sweet, noodle was fine except a little soft – it could be due to either overcooking or the nature of the yellow noodle from their supplier. 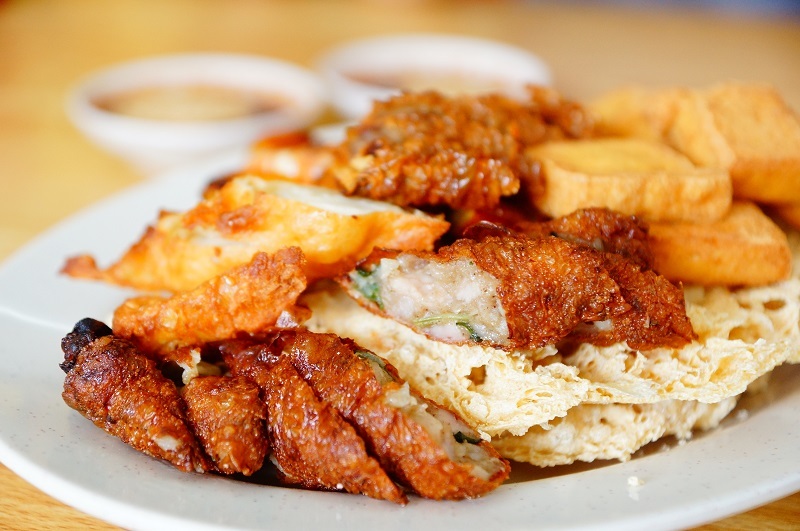 The dry version was topped with deep fried lard that gave extra flavour to the noodles. We love the pork rib which was so tender that it easily fell off from the bone. We have to say this is what makes this stall stand out: we’ve rarely experienced the same level of tenderness elsewhere. And to top it off, the chili sauce was savoury and blended well with the noodles as well. So who’s behind Da Tou Xia Yummy Prawn Noodle House? 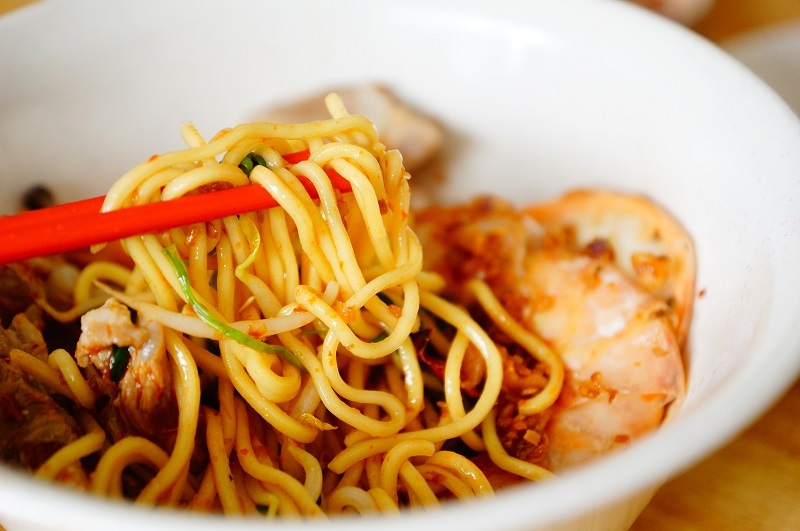 The chef was previously working in a mixed rice stall, but driven by a desire to be his own boss, he picked prawn noodles to perfect his craft and has not looked back since. Not an easy task for someone with zero knowledge in prawn noodles. 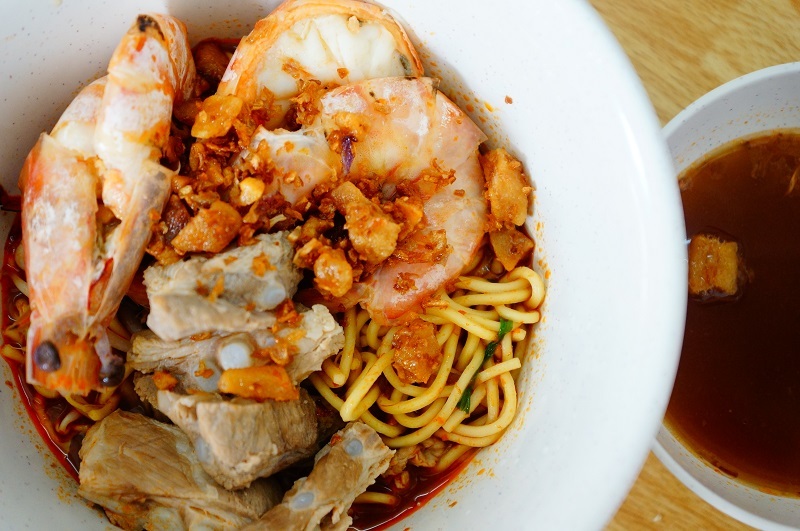 He spent months experimenting and perfecting his recipe, and after some struggle, he was confident that he had hit on the right recipe, and Da Tou Xia Yummy Prawn Noodle House was born. Do you believe passion will drive a person to excel? We definitely do. Besides prawn noodles, Da Tou Xia Yummy Prawn Noodle House also sells Ngoh Hiang (Fried prawn fritters etc) and traditional minced meat mee pok as well. Side dishes to add variety to the star of the show, we gave them a try as well. 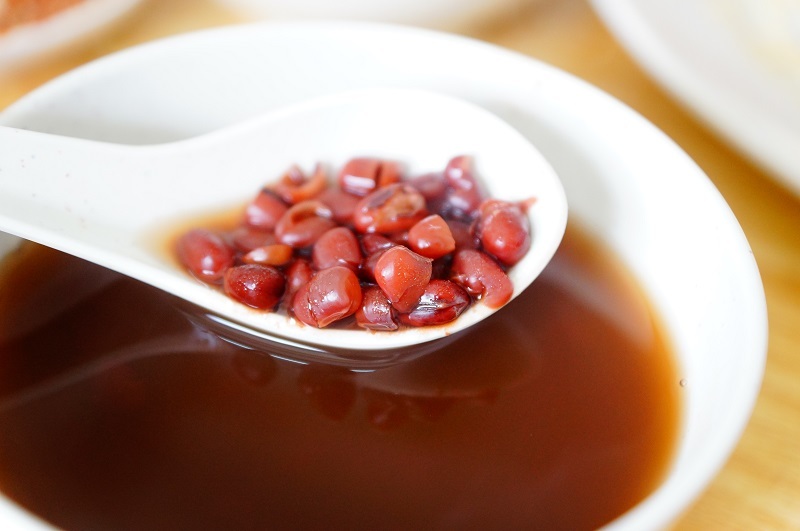 Our dessert was red bean soup, nice soft red bean with slices of orange skin and perfect sweetness. Do give it a try if you like red bean soup. 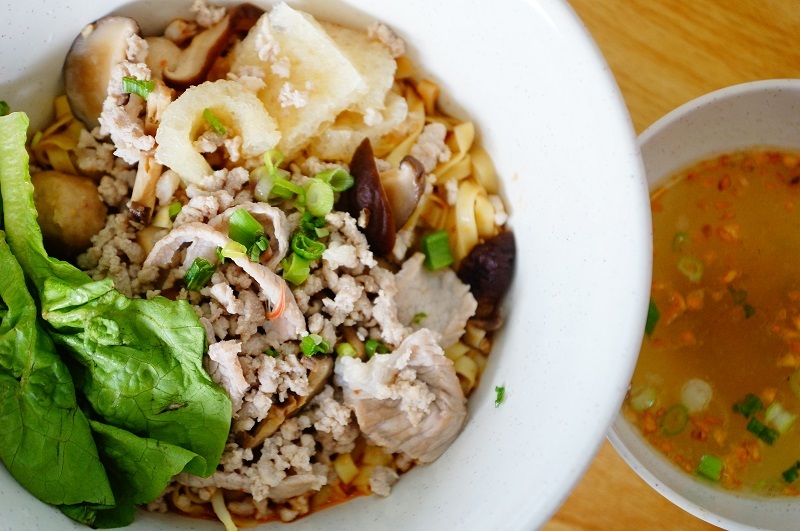 Our verdict, even though Da Tou Xia Yummy Prawn Noodle House is a new kid on the block; we feel that it already has the substance to challenge its more established big brothers. 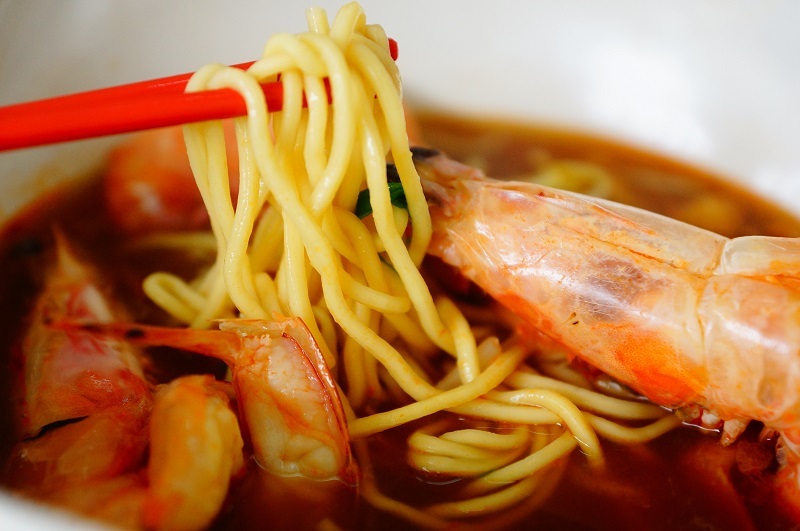 To us, it’s definitely a praise-worthy bowl of prawn noodle that has our support! Previous PostIndochili Restaurant Singapore - Indonesian cuisine, Sedap!